September has always been one of my favorite months. The air is crisp, the leaves change to beautiful brown and yellow colors, the kids go back to school and we, the parents get that much-needed burst of energy to finish the year strong. More than anything, September is my favorite month because of Hispanic Heritage Month, the national celebration of Latino heritage, my heritage. Hispanic Heritage Months starts on September 15th and that day is significant because it is the anniversary of independence for Latin American countries Costa Rica, El Salvador, Guatemala, Honduras and Nicaragua. In addition, Mexico and Chile celebrate their independence days on September 16th and 18th, respectively. As a second generation Mexican-American, this month means family gatherings, music, food, culture and joy. As easy as it is to get carried away by the delicious tamales, churros and fiestas, it is important to remind ourselves that this is a time to honor the contributions by Latinos to our country and society. And maybe we should take one step further by not only celebrating those who have achieved success; let’s make a point to support the up and coming Latino talent around us. As a Comcast employee and a UNIDOS Employee Resource Group leader in California, I’m proud to see the ways in which Comcast is honoring the holiday. 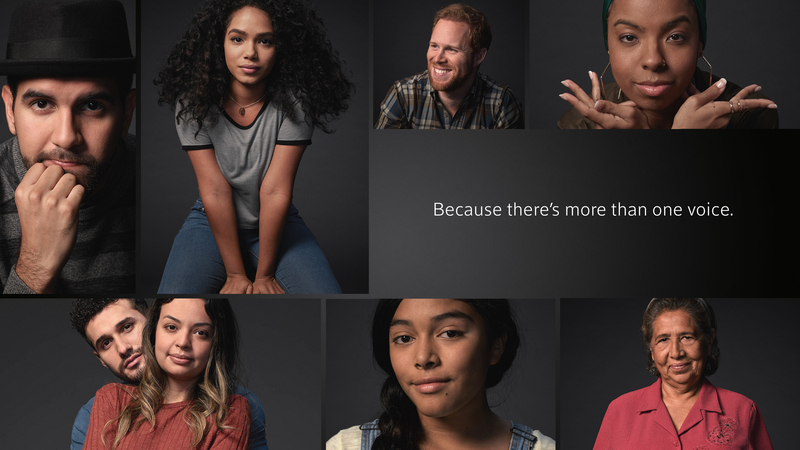 In case you haven’t seen it, Xfinity recently launched the #WeLaGente marketing campaign in which regular people and by that I mean non-models, recite the United States Constitution in alternate English and Spanish. This is a way to highlight the unique bilingual capabilities of our X1 remote and platform. Because if you are like me and you live in a world of two languages you understand why a remote that speaks “Spanglish” is everything. In addition, from October 15-28, all Xfinity X1 customers will be able to enjoy FreePass Latino, a yearly initiative in which Xfinity TV customers are able to enjoy hours of great series, movies, soap operas and even the first episodes of shows before they premiere! You can access the curated and free Latino content on the front page of your X1 or in the platform’s Latino section which, by the way, is available all year long. Supporting Latino content on the X1 is fantastic but we are also supporting local Latino artists in the Bay Area. Xfinity is one of the main sponsors of the 10th annual Cine+Mas San Francisco Latino Film Festival that started on September 14th and runs until September 30th. As a treat for UNIDOS California, we are bringing the festival to Livermore where our regional office is located. As part of our Hispanic Heritage Month commemoration, the UNIDOS ERG is having a private screening of the Oakland based documentary Futbolistas 4 Life followed by a panel discussion with talent from the film. Futbolistas 4 Life takes you into the lives of two Oakland high schoolers: One is a college hopeful and DACA applicant who’s navigating the reality of his immigration status and the other is an American citizen who lives in fear that her undocumented parents may be deported. Thanks for visiting the Comcast California blog and happy Hispanic Heritage Month!